A bill designed to simplify state income tax reporting and withholding rules for employees who travel and work across state lines is a step closer to becoming law. Maryland Rep. C.A. “Dutch” Ruppersberger is a co-sponsor of the legislation. The legislation now awaits action in the Senate, where it has been introduced as S. 540. The AICPA and the MACPA are among the associations that are working with leaders of the Senate Finance Committee to move the bill forward in the Senate. “The MACPA joins the AICPA in urging the Senate to pass its companion bill soon so that thousands of employers and employees can be relieved of the burden imposed by inconsistent state tax laws,” Hood said. 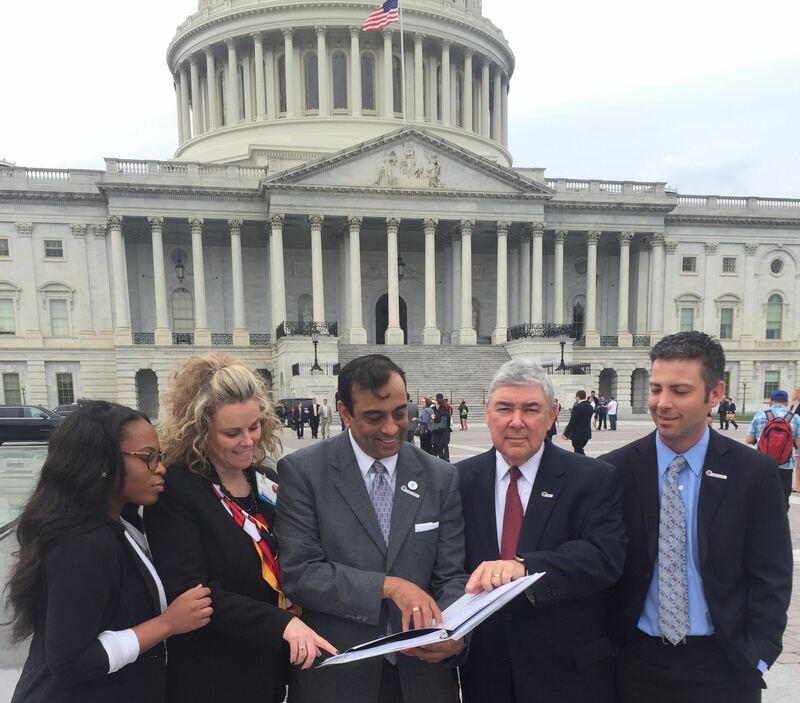 Pictured in the photo above are members of the MACPA delegation that participated in the profession’s congressional visits in Washington, D.C., in May. From left: Randi Reed, a member of the MACPA’s Mentoring Program; Samantha Bowling, secretary / treasurer of the MACPA’s Board of Directors and Reed’s mentor; and former MACPA Board chairs Anoop Mehta, Allen DeLeon and Byron Patrick.